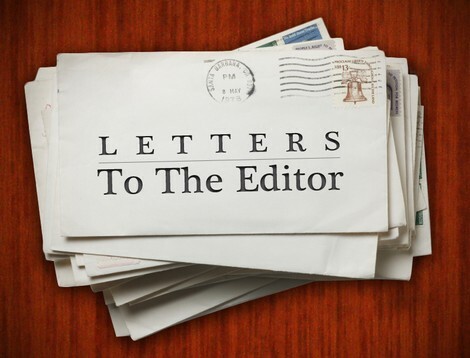 The following letter to the editor was submitted by Newport Mayor Paul Monette. At the October 15, 2018 Newport City Council Regular Meeting, Charlie Pronto, representing D.U.M.P., and Robert Benoit, representing Memphremagog Conservation, presented their concerns that leachate may be leaking from the landfill, that the City’s Wastewater Treatment Facility (WWTF) may not be properly equipped to treat leachate given “PFAS” concerns, and, they asked the City to formally oppose the landfill expansion. Upon the completion of their presentation, Mr. Chenette moved that the City stop taking leachate until proven safe, and to oppose the expansion of the landfill. The vote was unanimous. The City listened to the concerns expressed by these community members, took immediate action by suspending the acceptance of leachate to allow the council members time to research the concerns expressed about the leachate, about the WWTF, and, they wrote a letter to the Act 250 Commission opposing the landfill expansion. The Council recognized they had yet to hear a formal presentation from the landfill and they had yet to hear from the Agency of Natural Resources, that is the regulatory authority for the landfill as well as the City’s Wastewater Treatment Plant. The motion was intentionally worded so that Council could take action to either deem leachate safe or unsafe. The City of Newport held an open house at the Wastewater Treatment Plant on Saturday, November 3. The purpose was to invite the public to tour the WWTF so that they could see the inner workings, and ask questions about the digestion and regulatory process. The City then hosted a public forum on Tuesday, November 27, 2018, where the public was invited to attend a presentation by The Vt. Agency of Natural Resources as well as Casella Waste Systems, Inc. The meeting presented an opportunity for the public to learn about the State’s regulatory authority over the landfill and the Wastewater Treatment Plant. The meeting also presented the public with an opportunity to ask Casella Land Systems’ questions. After the November 27, public forum, I continued my research separate and apart from the presentations, and I did take the time to visit the Casella landfill on the Airport Road. Other council members did the same. At a regularly scheduled council meeting on December 17, 2018, another presentation was provided to include representatives from D.U.M.P., the Agency of Natural Resources, Department of Environmental Conservation, Solid Waste District and Casella Waste Systems, Inc. (NEWSVT). After a lengthy and spirited discussion which included many questions from the public, Council President Denis Chenette moved that “based on the research done by and information provided to the council, I move that we resume the acceptance of leachate at the Wastewater Treatment Facility. The levels of contaminants are found to be well within the federal standards, as well as the state standards which are even more restrictive. Furthermore, I would like to see a partnering of the City of Newport and Casella Waste Management regarding the research and possible implementation of future upgrading to the City’s wastewater treatment plant with the oversight of the appropriate state department. I would also move that the letter to the Act 250 Commission be withdrawn due to information regarding air quality and the implementation of systems currently in use and proposed at the Casella facility located in Coventry. Seconded by Ms. Raboin. The motion passed on a 3 to 2 decision. This decision was made after the council members deemed it was safe to treat leachate at our Waste Water Treatment Facility through conducting hours of research. I was the tie-breaking vote because I put emotions aside and based my decision on science, research, and the evidence presented by the State of Vermont that is the regulatory authority. At this time I want to stress to the public that our Waste Water Treatment Facility is not polluting Lake Mempremagog. It meets or exceeds the standards set by the State of Vermont and EPA. Our city employees take pride in the operation of our facility. I can assure the public that the effluent discharged into the Clyde River, and the safety of the public and the lake is and will always be a top priority of the City. We have always been, and are committed to being, in compliance with our permit and the state regulatory authority. Once leachate was proven safe, the next responsibility for the Council was to look at the economics. If the city were to suspend taking leacheate, which has been proven safe and has been a normal part of operations since 2009, the sewer rents in both Newport and Derby would see a $200 increase in their annual sewer rates in order to compensate for the gap that a termination of leachate treatment would cause. The City Council believes we will have some advantages by partnering with Casella on our respective mandated upgrade costs which could eventually have a favorable impact on the utility rents. Regarding the petitions which the city council voted not to place on the ballot for Town Meeting. The City Council respects the right for citizens to bring petitions forward. However, based upon a review of these petitions and a validity question posed by a member of the public, I continued to do more research. I learned that the subject matter contained in the requested petitions are beyond the authority of the voters to decide at town meeting. In other words, a vote on these articles would not be binding. The requests in the petitions are reserved to the City Council, who is charged with the supervisory authority of the City. It is the City Council that has the authority and control over the utility systems and it is the City Council’s responsibility to determine the appropriateness of any contract. Vermont Statutes are clear that the City Council has these inherent authorities. For these reasons, the Council is not obligated to include the requested articles in the warning, even when the requirements for presenting the petitions were satisfied. Both the Vermont League of Cities and Towns and the City Attorney advised us that since the articles are non-binding, it is better not to give a false impression to the voters. I have been the Mayor of the City of Newport for 10 years and it is a responsibility I take very seriously. My first priority is the ethical treatment of our citizens and their concerns. This has been an emotional matter for some of our citizens and I am proud of the way the City Council handled these concerns. We listened, we took action, did our research and made a timely determination based on science, evidence, facts and the best interest for the City. I expect the people of Newport to be passionate about difficult matters. In the end, we are all Vermonters and proud of our strong community. After the September 10th forum in Newport with a panel presenting opinions on the expansion of the Coventry landfill, I’ve been asking myself and others a lot of questions. As a member of DUMP, Don’t Undermine Memphremagog’s Purity, I’ve met concerned citizens working hard to investigate the issues surrounding our local landfill, unfortunately, the only landfill in Vermont. It’s not an easy task, and I applaud the Chronicle, VT Digger, Seven Days, Newport Dispatch and other media for entering the fray. I did not attend the recently-called meeting in Coventry, but after reading the Chronicle’s November 21st article I had more questions than answers. According to the Coventry Selectmen and the VT Department of Environmental Conservation, there are “intense regulations” and frequent monitoring. How frequently do the Town and State officials visit the landfill for spontaneous inspection? How intense are the regulations Vermont places on its one lined landfill since indeed waste management is “risky business,” according to the DEC Commissioner? During the Sept. 10th forum the Solid Waste representative, Cathy Jamieson, mentioned that the facility was permitted because of the regulations that were in place, but she acknowledged that they might be less strict standards than in other states. What are the standards in other states? How often do the wells get tested? If the Waste Water Treatment Plants are not designed to test for PFAs, how can we be assured that leachate is clean when it goes into the lakes or rivers of Vermont? How long does it take for contaminates to migrate? How often are the landfill liners checked for tears or slippage? Vermont’s Universal Recycling Act was enacted in 2012 but the amount of recyclables removed from garbage has decreased our waste only slightly in the past 6 years. What steps has the Solid Waste Department taken that have worked or haven’t made a difference? What do we really need to do in Vermont to reduce and reuse our garbage? What specific strategies has Casella implemented to become forerunners in the field of safe and environmentally friendly waste management as they claimed? And what is the “ideal place for a landfill,” as the panel’s senior hydrologist posed? A watershed bordering an international lake that provides drinking water to Canadian citizens? Or a poor region where residents might benefit from the dollars that the landfill company will pay to compensate for the odors and the traffic (although all the other communities around the region and state have to deal with the huge trucks and emissions, as well)? The squashed plans to site landfills in Burlington and Williston in recent years failed due to … what? Were they not ideal places to site a landfill, being in populated zones where more of the garbage is generated and collected? What long-range planning is Vermont doing to solve these problems? Our communities, whether they are for or against the expansion of the Coventry landfill, would like specific answers to all these questions. The public should be made aware of the test results and options and get specific, not vague, answers. From our DUMP queries, we’ve seen that a lot of digging needs to be done into DEC, Act 250 or NEWSVT records to gain facts. Deliberations, answers and solutions should precede the permit expansion. Let’s take the time to solidify Vermont’s solid waste management plan. In November of 2013, Congressman Peter Welch made an impassioned plea to save Vermont jobs in front of the International Trade Commission in Washington D.C. He did so on behalf of hundreds of Vermont loggers, truckers and wood workers at Columbia Forest Products’ hardwood veneer plant in Newport, Vermont. In no-nonsense “Vermont” fashion, Peter educated Commissioners on the illegal tactics the Chinese government and the Chinese hardwood plywood manufacturing industry have employed to dump cheap, highly subsidized hardwood panels into the U.S. market since the early 2000’s. Unfortunately, the Trade Commission did not vote in favor of the U.S. hardwood veneer and plywood industry at that time and the Chinese continued to dump highly subsidized hardwood veneered panels into the U.S.
Last November, a coalition of six U.S. plywood manufacturers, including Columbia Forest Products, refiled an Anti – Dumping, Counter Vailing duty suit against Chinese panel importers. The second time around, the commission voted in favor of U.S. manufacturers and slapped significant tariffs on the illegally traded panels from China. Once again, Peter and his staff saddled up with U.S. manufacturers and were a strong voice in D.C. for their Vermont constituents. Politicians like to “talk the walk” regarding having the backs of U.S. workers quite liberally. Peter has “walked the talk” since 2013, standing up to China for Vermont workers and he and his staff continue to be on the lookout for other unscrupulous Chinese trade activities. On behalf of Columbia Forest Products employee owners in Newport, Vermont and our many trading partners in Vermont, a heartfelt thank you to Congressman Welch for making a meaningful difference for Vermont workers. I am pleased to support the re-election of Sheriff Kirk Martin. I was honored to appoint Sheriff Martin in 2008 to succeed Sheriff Lance Bowen and I’ve never regretted it. Sheriff Martin has demonstrated his commitment to serving the community. He’s able to adapt to new circumstances and opportunities and he’s tackled issues that have arisen over the past 10 years. Sheriff Martin has been a strong voice for Orleans County and is well-respected by his peers. He has the experience it takes to lead the Sheriff’s Department to realize its full potential. Based on his long and dedicated service, I hope you’ll re-elect Kirk Martin as Orleans County Sheriff. Kirk Martin has been a very successful Sheriff any way you measure it. I’ve reviewed the other letters supporting each candidate and the advertisements. I’ve listened to my friends, neighbors and family members express their views. A well-written letter, an eloquent speech or a catchy ad can support different views and make independent-minded people see each side. I’ve boiled it all down for myself. Sheriff Martin has been in office for a number of years. The Sheriff’s Department is in better shape now than when he took office. The business of the Department is currently very successful no matter what measurements are used. Relationships are possibly the most important part of a successful Sheriff. This is Mr. Martin’s strongest asset. From his own staff, to local contracts, to friends, neighbors, and family. Kirk is a strong man with natural leadership and the finest of personal qualities anybody can display. I’m voting Kirk Martin for keeping our successful Sheriff’s Department going strong into the future. Remember to Vote on November 6th for the Candidate with Integrity, Dedication and a Proven Track Record. Vote to Re-elect Kirk Martin. Kirk has dedicated his life to public service. His service began at a young age when he joined the Orleans Emergency Service and Orleans Fire Department. He eventually became the Assistant Fire Chief and learned to handle and maintain a sustainable budget for the department with the help of other dedicated members of the department. Kirk was always interested in law enforcement; it was his career goal in his high school yearbook. What you don’t see is all the time he dedicates to his department, community, and family. A call comes in at home, on a weekend, at late hours, and he always is there to help, whether it be a call to come to lead a high school winning team back into town or a call to aid a neighbor in need. What about all the children in our neighborhood who consider our home a safe home and can come by anytime day or night to talk, ask questions and just be part of our life? Kirk Martin has received two lifesaving awards from two different Governors for saving the lives of two community members. These are the things that no one sees or hears about. Why? Because Kirk Martin is not a person to boast or toot his own horn. He is a private person who does what is best for our community. You ask how I know all about this? It is because I have been his wife for the past 28 years. Yes, there are many contracts and different services the Sheriff’s Department can participate in, but they all take money and those monies would have to come from town contracts, if a town so chooses, to contract with the Sheriff’s Department. These contracts are not set in stone and get voted on yearly by the taxpayers. All these extra services have to be voted on by the taxpayers, and this, in turn, increases taxes. With our recent crisis with EMS we will have our taxes increased and Act 46 may or may not increase taxes depending on whether or not it is passed. Please remember to vote on November 6th for Kirk Martin, the candidate with integrity, dedication and someone who is humble about his accomplishments. Among the important decisions, voters will make on November 6 is that of Orleans County Sherriff. Strangely enough, we are presented with the same choice that we had back on primary day in August. Why? Because Jennifer-Harlow Jacobs, after losing by 393 votes (1307-914) in the Republican primary, decided to run in the general election as a Democrat, in part because she received 18 more Democrat write-in votes than Sheriff Kirk Martin (312-294). Legal? Yes. Fair? That’s another question. Kirk Martin has served our community all of his adult life, including twenty-three years in law enforcement at the sheriff’s department. He was also assistant fire chief for the Orleans Fire Department and a volunteer emergency responder with the Orleans Ambulance Service for thirty years. In 2008, Kirk was appointed Orleans County Sherriff by Governor Jim Douglas after receiving letters of recognition for bravery in saving two lives; one letter from Gov. Douglas and one from Governor Howard Dean. During his ten years as Sheriff, Kirk has focused on providing the best possible patrol coverage for our community, being mindful of the reality of balancing town budgets, costs to the taxpayers, and providing coverage that is sustainable for the long haul. He has modernized the fleet of patrol cars, added a K-9 unit and body cameras, and organized the move into a modern and secure building on the Derby Road. When our two local high schools were in need, he worked to provide deputies as School Resource Officers protecting our children. Sheriff Kirk Martin works quietly, without fanfare, to keep our community safe not just because it is his job, but because he cares about the people he serves. He has continued “Operation Call-In”, a service in which his office checks on senior citizens living alone to make sure they are okay, and at Christmas Kirk personally delivers gifts because he worries that these seniors might be alone for the holidays. Kirk founded “Operation Santa” in which his office fundraises, purchases and delivers Christmas gifts for children in need. And those letters of recognition that Kirk received from the governors? One was for jumping into the Barton River to save a five-year-old girl who had gone out on the ice to get her doll and was in danger of breaking through and being swept downstream. Sheriff Kirk Martin has earned our trust and deserves our support. Vote for Kirk Martin on November 6. I am writing in support of State Attorney Candidate Jennifer Barrett. After growing up in Orleans County, and seeing how the times have changed, the only responsible choice for our community is to vote for Jennifer Barrett. My support of Jennifer Barrett is largely in part due to her strong beliefs surrounding major issues in our community, such as domestic violence and drugs. Jennifer believes in holding people accountable for their actions. During her first four years, she has truly served the public. She has proven herself by using the Diversion Program at the highest rate in history for non-violent, first-time offenders. She continues to fight every day for tough sentences for those selling drugs in our communities. While the times are changing, and the increase in drug-related crimes and domestic abuse seems to be on the rise, Attorney Jennifer Barret never wavers in her beliefs and her role as a State’s Attorney. I firmly stand by her and would recommend you do the same. Two of our most basic human rights should be clean air to breathe and untainted water to drink; both of these basic human rights are now under threat in the NEK. If you detect the slightest hint, or an overwhelming stench coming from the Coventry landfill please report it as SOON as you smell it. Remember, these smells can travel a long way and won’t necessarily be located directly next to the landfill. It is imperative that everyone reports these odors so data can be collected in an effort to understand the negative impacts of having a behemoth landfill in our own backyard. Would you like to learn more and join the growing ranks of NEK’ers opposing this landfill expansion and other associated issues threatening our local watershed? If so, please join the Facebook conversation on DUMP, Don’t Undermine Memphremagog Purity and please ask others to join too. This letter was submitted by Beth Barnes, of Newport. I am writing this letter to the editor in support of Sheriff Kirk Martin to be re-elected Sheriff of Orleans County. Sheriff Martin is a lifelong member of our community. He grew up in Brownington and attended Brownington Central School and Lake Region Union High School. He was first appointed Sheriff in 2008 by Governor Jim Douglas, after the retirement of Sheriff Lance Bowen. The job of Sheriff has many moving parts, they include formulating the annual operational budget, keeping in mind the wishes of the voters. Supervising all personnel, including Deputy Sheriff’s as well as administrative staff. Attending meeting with towns to make sure the department is living up to the expectations of the towns who have contracts for services with the department. He sets realistic goals for both the department and the voters. An example of this is if the Sheriff’s Department was to go to a 24/7 operation, the cost for each town, excluding Derby and Newport (Derby because of the amount of service needed and Newport having its own Police Department), would be in the range of $230,000.00 per year. This additional expense would be in addition to their current taxes, which is already out of control. Sheriff Martin understands this fact and works to keep operational cost down to save taxpayers money. Securing funding for and moving into a new, modern and secure office on the Derby Road. Increasing and modernizing the vehicle fleet. Working diligently with towns to increases patrol hours. Sheriff Martin added a K-9 program and worked for body cameras for added safety. And let’s not forget Operation Santa!!!! Also let us not forget, when North Country Union High School lost their School Resource Officer (SRO) Sheriff Martin worked with the school and placed a Deputy Sheriff at NCUHS. Sheriff Martin also worked with Lake Region High School to place a Deputy at that school as well making these two schools safer for our children. Stepping up to the plate is something Sheriff Martin does without fanfare or a need to “blow his own horn,” something very rare nowadays. This is why I support the Re-election of Sheriff Kirk Martin! The Vermont Agency of Natural Resources Solid Waste Management Division has granted approval of a proposed Coventry Landfill expansion of 51 acres. The decision was based on existing rules that are probably outdated, and certainly do not address the very real concerns of those of us who live in the area or who are impacted by the potential threats to our waters. We, who would like to learn from the tragic experiences of Bennington and their well contaminations, find this unsatisfying. The section of the approval that addresses the questions raised by the public comments is lengthy and mind-blowing. It should be required reading for any of us in the Coventry/Newport area. Those impacted by the volume of heavy traffic should also be interested in the abdication of state involvement. The diminishing value of homes in Coventry is apparently of no concern. Landfills are old technology, or as Chittenden Solid Waste District says “waste is a design flaw.” Not that Chittenden is a shining light as its landfill is unused and its waste shipped up to us in the NEK. I just appreciate the sentiment. Landfills are from previous centuries. This century has other options and just because we live “up here” does not mean we should accept outdated technology and attitudes. Although it has been pointed out that the new landfill liners are “new technology” they are still being deposited into an outdated system. Landfills themselves are no longer necessary or state of the art. We can learn from other states and countries. • We are used to being abused and won’t know how to stop it happening. • We won’t understand the possibilities of harm to us or future generations. 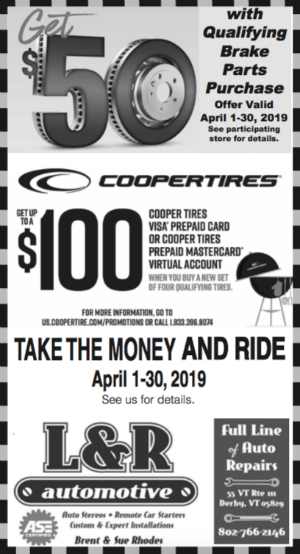 • We accept bribes to continue to allow this to happen. And in reality that one has been historically true. Casella pays Coventry, Newport, Montpelier, Essex Junction and others to take the leachate and host the landfill. A lot of money. Personally, I don’t like any of those assumptions. And reject them all. Vermont and the Northeast Kingdom are trying to reinvent themselves. If we allow ourselves to be the garbage dump for the country (we take waste from New Jersey, New York, Massachusetts and Pennsylvania and probably other states too) we are risking the future of that “reinvention.” If Vermont is marketing our great four-season outdoor activities and eco-tourism, our pristine lakes and waterways, then we are risking all that by allowing others to literally crap in our backyard. Not only are we are putting our immediate area at risk, we allow the highways to be damaged as gargantuan trucks blow through the small towns on their way up here. We pay for those roads, the traveling trucks do not. The landfill that collects a lot of money from those trucks does not pay for the roads, or compensate for the noise in the communities as juggernauts rattle through. Our taxes pay to support their industry. Win for them and another loss for us. We are discouraging recycling, repurposing and reusing. We are encouraging waste, and toxic waste, by not making other communities take care of their own garbage, clean up their own wasteful habits and look at their own behaviors. So easy to put out the garbage and have it just disappear. No fuss, no mess in Burlington or Rutland, just truck it on up to the NEK. Why waste less? Toxic stuff? No problem, Coventry takes that too. Remember when Burlington got upset last year? Residents were told that they had to pay to take away tons of poison fill. Shame! Guess where that fill ended up? Yup, right here and the landfill was paid. Other cities need to be responsible for their own “stuff” — if we want our wasteful behavior to change. We are risking poisoning ourselves, our neighbors to the north and our children and grandchildren. A cavalier “oh the new liners will last for 700 years” is no consolation, and is certainly nothing more than a wild guess. That is not the legacy we should be paying forward. There are alternatives to landfills and Casella/NEWSVT has an opportunity here to be ahead of the curve, instead of trailing along in the rear of the rest of the world. A quick google shows several alternatives. Explore them! Research others. Why wait 20 years until the landfill overflows? NEWSVT (aka Casella Waste) is a corporation that may be following best practices as far as they know. Or not! The Agency of Natural Resources may be functioning independently, coming to clear decisions based on current thinking. Or not! They are certainly an agency constrained by regulations and bureau-think, and with no concern for the surrounding area beyond their narrow purview. We, community residents, do not live in test-tube — a narrow frame is a disservice to us. Although we are all unable to see into the future there are enough questions for us, the residents of the NEK, to not accept this thinking and to call for a full independent investigation, and an exploration of alternatives. Our recent experience up here in the NEK showed us promises too good to be true are just that, politicians can have blinders on, and corporations can operate fraudulently. We residents told the powers-that-be that the emperors were stark naked. We were not believed and were ignored. Dollar signs rolling around in eyeballs tends to get that response. The outcome from that debacle will haunt us for many years. No more EB-5 types of “investment” that benefit only the elites and harm the rest of us. And no investment without verification, checks and balances firmly in place. Will the landfill expansion be another, even-more permanent “hole” — do we want to risk our future in this way? Newport residents, based on experience, might have some strong feelings about this. We need to learn from that experience. To not trust promises without substantial evidence to support them. And certainly not trust either corporations or state/local entities without massive input and exploration of the alternatives. Conflicts of interest are notorious for messing with good judgments or listening skills. We can refuse to be the garbage can of the states. And we can certainly refuse to be chickens with foxes as our overlords. Local Newport and Coventry people need to show up at every possible meeting concerning the landfill and the potential expansion. And to not be silenced. The only reason Vermont has a monster landfill by the lake in Coventry is because 100 years ago dumping trash into wetlands was considered a great way to manage solid wastes. We don’t do things that way now, but due to inattention on the part of the Agency of Natural Resources (ANR), there are now no other alternatives to the disposal of solid waste in Vermont. That’s hard for me to accept. That other possible location, the former Palisades landfill in Moretown is currently abandoned. It was a slow moving train wreck that anybody who was there at the dawn of the Act 78 era could predict would end badly. At the time, it was common knowledge in the trade that Valley Disposal was on the ropes, was desperate for money, and lacked the cash flow to properly manage the Palisades site. The site changed management several times. The ANR threw up their hands and walked away. So after the failure to site a landfill in Chittenden County, and the collapse of Palisades, the lined landfill in Coventry managed by the rational people at Casella looked pretty attractive. Casella does a good job with their landfill and why shouldn’t they? As the saying goes in the trade—it’s a simple business. They are very likely better funded than their regulators, and have deeper expertise, with the result being predictable— they’ve outmaneuvered the ANR into agreeing to a development that does not reflect any kind of responsible solution to the disposal of our solid waste. Part of the horse trading that created this extension is related to the Quiros’ need to have a longer runway for their corporate jet. Casella was happy to trade some much-needed runway space in exchange for landfill space. While the Conmen from Miami are gone, the landfill extension remains. If South Bay were undeveloped now, the idea of sitting a landfill there of any size whatever would be viewed as lunacy. I’m used to less than brilliant solutions to the problems of modern life, so lunacy is just a degree. The town of Coventry likes the revenue, even though an unknown amount has been squandered. Wherever the money went, one town’s desire for a low tax rate wouldn’t override the quality of water of an entire basin in any other place in the state, excepting maybe Lake Carmi. It all means that an international body of water is host to an expanding landfill mainly as a convenience to the ANR, who can’t seem to find anywhere else to dump trash. This is more an object lesson in how not to manage a state than how to run a landfill. So let’s drop the jargon — this is a huge beautiful lake and the ANR is approving its shores for expanded garbage disposal. They can’t come up with a better idea. I suppose we should be grateful they aren’t barging it out to the middle and sinking it there, but I’m not. The South Bay Area is a huge wetland, and it’s amazing that while the ANR chooses to prosecute even tiny infractions of the Wetlands Act all over the state, Mount Casella-by-the-Lake abides. For some reason, it’s ok to develop the South Bay but not ok to put a driveway through a swale in Jericho. I resent the implication—that your suburbs are more important to Vermont than our huge international lake. I’m left feeling very sad for the Northeast Kingdom: without it, most of Vermont would be more akin to a suburb of Boston. The NEK allows the rest of you to support the pretense that you live in a state unspoiled by development, a place clean and fresh and special. And for some reason, that best unspoiled place, the avatar of your countless brochures and websites is where you choose to dump your trash and build your fantasist green energy skylines. Well, for one thing, we’re too poor to object. But I for one am very disappointed in the rest of you. Find another place your garbage. 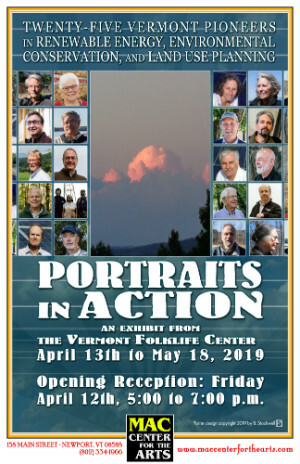 Don Peterson is a longtime resident of Lowell and says he was employed as the controller of a medium sized Vermont trash company in the 1990’s. In his submission, he said he wants to remind people that an open public awareness meeting is planned for Monday, Sept 10 at 7:00 p.m. at the Gateway Center in Newport. Over the past two weeks, sold out audiences from the Northeast Kingdom and the Eastern Townships enjoyed performances of Little Shop of Horrors, the premier musical production by the new theatre group Borderline Players, directed by former local talent, Thomas Perry. A convergence of sheer will to keep theatre in the Haskell after 25 years of QNEK was the inspiration by dedicated thespians spearheaded by Chris Planetta and Ross Murray. The call to artists reinforced the formation of the new community theatre company. Fortunately, Thomas Perry relocated his family to the Kingdom and added his passion to the international dramaturg. The success of the inaugural season is largely due to an all-volunteer cast and crew and generosity of the community. The show was enhanced by talented performances, imaginative and detailed set, live orchestra and delightful AUDREY II. As local artsprenuers and supporters of the arts, we are excited about this new chapter in the community. 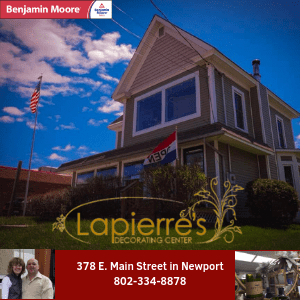 The Resident Theatre Company at the Haskell Opera House, Borderline Players, show great promise and prove the “ocean can float many ships” – there can never be enough live theatre. For those that love the traditional summer musical, unique offerings, mysteries and drama, we can expect more from this organization in years to come that won’t disappoint. Looking forward to the fall production of Agatha Christie’s, THE MOUSETRAP. I am writing this letter in support of Sheriff Kirk Martin. I have worked with Sheriff Martin for many years. He is a dedicated to making our communities a better place to live. While I was working as a Community Correctional Officer, he never hesitated to come out and assist when asked. He didn’t send a deputy, he would do this himself. I have the utmost respect for Sheriff Martin and I am proud to say that I will be voting for the only choice for Sheriff, and that is Sheriff Kirk Martin. Please make sure to vote on August 14th and make the right choice, vote to re-elect Sheriff Kirk Martin. In 2008, Kirk Martin became Sheriff of Orleans County. Since that point, the Sheriff’s Department has prospered. Many new programs and contracts have been added. He has taken steps to make the Department what it is today. Sheriff Martin stands behind his Deputies and their work. I was Kirk’s Administrative Assistant until 2015 when I retired after 17 years of service to him and the Department. Many times I have seen him patrolling the County, transporting prisoners, meeting with civic groups and nonstop working on keeping his budget in control. He is definitely a working Sheriff. The deputies that he has hired are a fine group of people. They uphold the law in a professional and courteous way. this is due to their training and his fine leadership. So please get out and vote on August 14th for Sheriff Kirk Martin and you will be glad you did. Don’t forget it’s not too late to get absentee ballots. I am writing this letter in support of Sheriff Kirk J. Martin. The Orleans County Sheriff’s Department has had many improvements since Kirk Martin was appointed and re-elected. He is a great asset to the community and the Department. There are numerous benefits of re-electing Sheriff Martin. 5. He has demonstrated his dedication to the department. These are just a few qualities that Kirk Martin has demonstrated as the Sheriff. Since I am only a visitor, I am unable to vote but Sheriff Martin would be my choice for the above reasons and many more. These should be your reasons why you re-elect Sheriff Kirk Martin. Please make sure to VOTE on August 14th and make the right choice, Sheriff Martin. I am writing this letter in support of Sheriff Kirk Martin. Sheriff Martin is a dedicated officer to his Department and community. As I recently read a post on Facebook someone stated our current Sheriff has all the great qualities his opponent said she would like to see in a Sheriff, also the things she would like to see done, our Sheriff currently does these things. So I agree that why fix something that isn’t broken. Please VOTE on AUGUST 14th to RE-ELECT Sheriff Kirk J. Martin. I am writing this letter to the editor in support of Woody Page for Vermont House of Representatives Orleans-2, (Newport, Newport Center, Coventry, Irasburg and a portion of Troy). Woody was born and raised in Newport, he went to school in Newport and graduated from North Country Union High School and Norwich University before joining the U.S. Air Force attaining the rank of Major before retiring. Woody has served the people of the United States, Vermont, and Orleans County his entire adult life. He now wants to continue this tradition by serving us in the Vermont House of Representatives. Woody Page understands the issues we face, like, out of control spending by the Montpelier liberals as well as their out of control taxing of hard-working Vermonters. 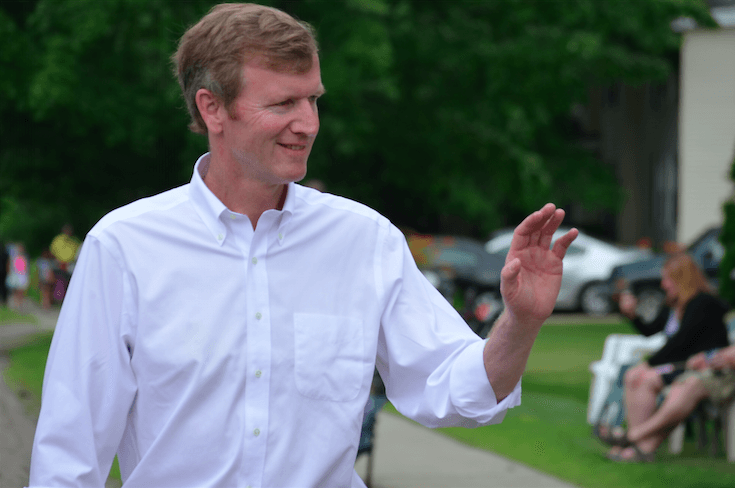 He will also fight to curtail unreasonable regulations which holds back both the expansion of existing businesses here in Vermont, as well as stopping new businesses from relocating here. During the last biennium, there were 53 Republicans in the Vermont House, that means when the Governor vetoes a bill such as increases taxes, he needed 51 votes to sustain his veto. This election cycle 17 Republicans are not seeking re-election, the Governor needs at least 51 Republicans to stand strong with him if we are to see taxes stay flat or better yet, reduced. 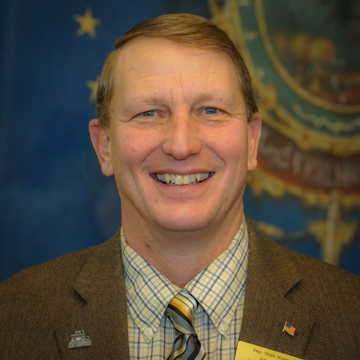 For all of the reasons I have mentioned, that is why we need Woody Page as our next State Representative in Montpelier. Woody will work hard every day to represent us in Montpelier, I know he will do an outstanding job for us, and that is why I am voting for Woody Page in next weeks Primary. I am writing as a concerned citizen. I have been scouring your news and webpage for information about the proposed forced mergers of school districts due to Act 46, and I have not seen one article discussing it. As an educator in a small school faced with this reality, I am incredibly concerned that our students will be the ones who will suffer the most. As an educator who sat in the Newark School last Wednesday to watch our school boards defend our schools against the State Board of Education, I am incredibly concerned that the majority of the population in the state does not know these meetings with the State Board of Education are happening and that communities are passionately speaking out against the proposed mergers. Most people are unaware that mergers, forced mergers, could possibly be happening as soon as the 2019-2020 school year. Many communities believe that since they voted against a merger, it will not happen. They are mistaken. These mergers will cause great changes to the way Vermont educates its children. These will not be changes that save money nor increase educational outcomes. Our school will be forced with the state’s proposal to merge our district with Brighton Elementary School. With this forced merger comes many uncertainties, including Articles of Agreement, ownership of buildings, tax rates, and even a potential of merging schools. While many people who do not understand our small schools will not see an issue with a potential of merging schools, it would create many problems in our towns. Many people choose to live in small towns so their students can attend a small school. While the Secretary of Education is concerned about equity of education across our state, our children are in class sizes that you only see in private schools in Chittenden County. The classes are small because towns are small and spread out. In my classroom, I create a relationship with my students. I know their parents, grandparents, aunts, uncles, cousins, siblings, and their long-term goals for their lives. I challenge any of my former teachers to say that they have had any relationship with me after they had me in their class. 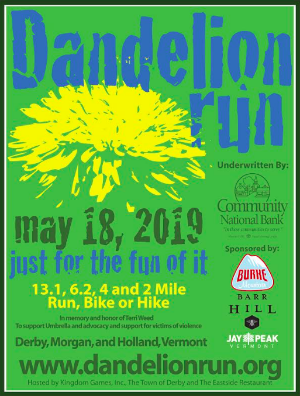 I was raised in a town in Chittenden County and had a wonderful educational experience. I do not want to discount that. If you had asked me 8 years ago about merging schools and districts in the Northeast Kingdom, I would have said that it was a great idea and that the class sizes were too small. However, after being embedded in this community, I have a better understanding as to why this will not work for our town. I am not alone in this. There are small communities across the state who are struggling with this mandate. I am asking you as our trusted news source in Vermont, please make our public aware of this situation. I am not asking you to discuss political views. I am asking you to make the public aware of the mandates across the state. I am asking you to watch the recorded footage on RETV and see for yourself the absurdity that has been posed across the state. There are two more scheduled Act 46 community meetings – Aug. 15 at the statehouse and Sept. 19 at the Green Mountain High School in Chester. Looking forward to your future coverage of Act 46. Vermont’s farmers and agricultural producers are struggling, yet, according to the Vermont Agency of Natural Resources, Vermont’s agricultural sector contributes nearly $281 million to Vermont’s GDP. Why then are our farmers losing their lands and livelihoods at such an alarming rate? We cannot claim to be an agricultural state and sell images of red barns while our farmers struggle so profoundly. There is a lot of talk about the environmental impacts of farming, especially on our waterways. I am the first to say that clean water is a necessity. Our solutions to cleaning up and improving our waters must involve our farmers. Not now, not ever, should this burden fall solely on their shoulders- this is a multi-sector problem with multi-sector solutions. But I promise to work with our farmers to balance farming interests with the environment, and step one, is to make sure that farming is an economically viable pathway for Vermont families. Also, this past year, the Agricultural Enterprise Bill was passed which opened up ways for farmers to diversify their income. I believe this bill is a great step forward, but we must go further. We need to reduce burdensome regulation on farmers and continue to open up direct market opportunities to make it easier for farmers to sell to consumers. Farmers also need direct financial support to implement on-farm best management practices, especially those that replace old equipment or systems with new technologies that reduce farmer’s operating costs AND assist in mitigating environmental impacts. This could be as simple as direct assistance to replace dairy fans or compressors with energy efficient technologies that will reduce monthly electric bills. Lastly, we must invest in our UVM Extension officers, Conservation Districts, and other outreach professionals. They provide farmers with necessary direct support, advocacy, and help with implementing innovative practices, but staff is overworked and overburdened. By enhancing their capacity, the state can provide additional direct support to our farmers and continue to research and implement innovative on-farm systems. Plain and simple, our farmers deserve better representation, and we deserve better. Vote for me, Kendall Lambert, in November, and I promise to not be beholden to any Party and to work with everyone to help our Northeast Kingdom farmers and communities. 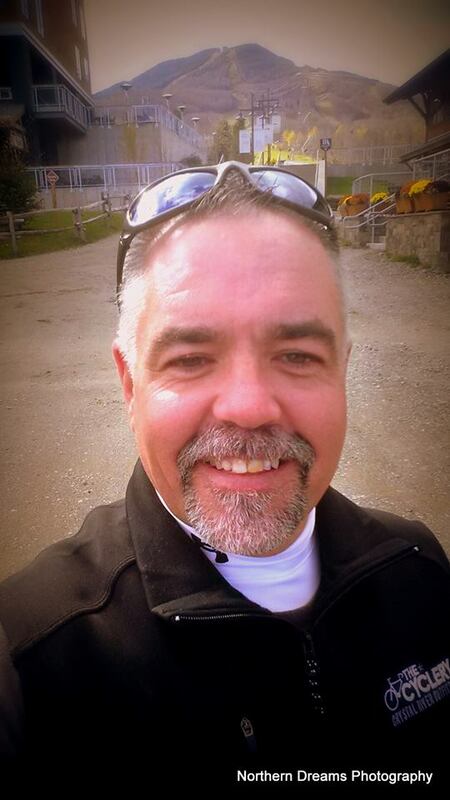 Submitted by Kendall Lambert, Independent Candidate for House of Representatives, Orleans 2. My name is Kendall Lambert and in March, I announced that I was seeking the Republican nomination to represent the Orleans 2 district in the Vermont House of Representatives. But here’s the truth: I also support gay marriage, sound immigration policy with a clear pathway to citizenship, racial equality, our common environment, and our teachers, first responders, police, and military personnel. Unfortunately, this cannot be reconciled with the Republican Party as it is today and I want nothing to do with it. While the Republicans talk out one side of their mouths about constitutional rights and equal opportunity for all, it’s becoming increasingly clear that what they mean (as their national policies and rhetoric seek to codify racism, sexism, discrimination, and inequality) is that these principals actually apply only to a few. Foolishly, I thought Vermont was removed from this fundamentally un-American discourse. Turns out I was wrong. I was embarrassed and saddened to read that Republican representatives of Orleans County – Gary Viens of Newport, Mark Higley of Lowell, Lynn Bachelor of Derby Line, and Brian Smith of Derby – voted against a resolution that condemned the Trump administration’s policy of forcefully separating children from their parents who crossed the border seeking asylum. To the residents of the Orleans 2 and the Northeast Kingdom – know that if I am elected, I will not be beholden to any Party but rather to the principles of dignity, prosperity, and justice for everyone. Know that I will work with willing members of any party to achieve these goals. I will be your Representative in order to serve you and to uphold the constitution. There is some discouragement afoot about whether the upcoming generations can rise to the needs and social requirements we have ahead. I myself have fallen prey to this curmudgeonly outlook. However, my three visits to Mr. Gratten’s classes at North Country Junior High (Derby) certainly gave me lots of hope. It was great fun to talk with 40 students about their thoughts on “Touching Spirit Bear” by award-winning novelist Ben Mickaelsen. Our discussions were about the restorative approach to offenses, offenders, and victims. We sat in a circle and talked about how traditional court and punishments are sometimes not enough or not appropriate. What we want is change, and healing of all involved. I was blown away with the depth of their questions and thoughtfulness. These students are serious learners, aware of what is going on in the world, and willing to consider new ideas. They are sensitive about the needs and experiences of others and they are kind. They understand accountability, too. While a restorative approach in the schools is more common in other states, it is spreading in Vermont – the state that brought restorative justice to the U.S. through its Department of Corrections. Hats off to Mr. Gratten and the wonderful students at North Country Junior High. 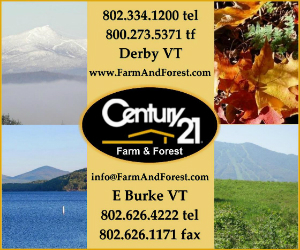 The Vermont Land Trust (VLT) would like voters to have the facts about property taxes on the former Scott Farm, which it purchased in 2015, before voting on Article 7 at the Annual Town Meeting on March 5, 2018. Vermont Land Trust did not petition to have this article added, nor were we consulted about it by the petitioner. Therefore, we cannot speak to the motivation behind the article. We do think it is important, however, to clarify the property tax situation as it stands right now in case there is confusion. This article pertains to the former Scott Farm purchased by VLT in December 2015. There has been no reduction in municipal tax revenue due to VLT’s ownership of the farm. VLT paid the back taxes owed on the property when it was purchased and has paid the tax bills in full for each of the last two years. The property was reassessed in 2017 and the assessment increased, as did many others in the City. VLT did not contest the assessment, nor do we plan to. VLT will continue to pay the property taxes, as assessed, while we own the property. During VLT’s ownership we have engaged the public in discussions on how the property can benefit Newport and have partnered with many local organizations and the City to increase public access, including hunting. We have also expanded agricultural use by collaborating with the Vermont Youth Conservation Corps and North Country Hospital to grow vegetables. And we have partnered with North Country High School and Career Center to make the property available to students and teachers to expand educational opportunities. 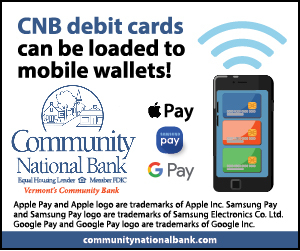 Currently we are developing a $1 million infrastructure project, at no cost to Newport taxpayers, that will result in a 7-mile waterfront recreation trail connecting downtown Newport to the Canadian bike trail system. 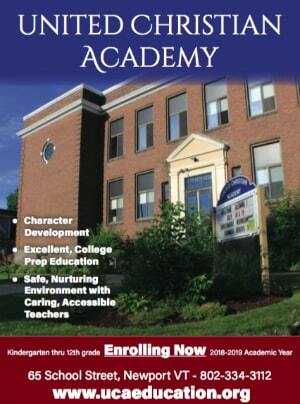 For over 50 years students from Hazen and Craftsbury Academy, who are pursuing education beyond high school, have been able to spend their state-funded grants and scholarships without any restrictions. This issue is called portability. Under consideration in the Vermont legislature are H.114 and S.257, which would change the half-century policy of portability. First, a student may want to enroll in a program that is not offered in Vermont. Veterinary medicine and cybersecurity are examples. For example, if a student wishes to attend a college or training program not in Vermont, portability allows them to use their state-funded grants and scholarships to help pay for it. If either of these bills passes as written, this flexibility and freedom of choice for students will disappear. I support portability for several reasons. First, a student may want to enroll in a program of study that is not offered by any college or university here in Vermont. I believe a Vermont student should have the right to pursue any curriculum in any state and have the right to apply their state funded grants and scholarships to pay for it. Second, many Vermont students live along the New York, Massachusetts, and New Hampshire borders. They may want to attend postsecondary institutions in these states because they are closer to home. Eliminating portability will place an additional financial burden on them. Opponents of portability argue it is time to keep high school students in state. In fact, less than 4,000 Vermont students elect to leave Vermont for other states while 25,000 out-of-state students come to Vermont every year to go to college. Vermont state grants and scholarships are very important for low- and lower-middle income students, especially those who are first generation. The goal is to provide these students with the same academic and training opportunities as those with greater financial means. State grant portability makes a bold statement in favor of funding financially needy students as an important economic opportunity equalizer. Restricting portability means restricting opportunity. It separates the career potential of students into the haves and have nots. I urge you to learn more about the benefits of portability. There is still time to stop this proposed legislation and protect your and other Vermonters’ right to use the Vermont State Grant at a school of their choosing, not one selected for them by the Legislature. But you must act now. Call your local legislators to express your opinion. You can find your local legislators and obtain their contact information by going to https://legislature.vermont.gov/people/search/2018. Carolyn Kehler served in the Vermont House of Representatives from 1993-2000, representing Barnard, Hartford and Pomfret. She is a former high school teacher and a past trustee of the University of Vermont. She lives in Greensboro. In this season of Giving and Thanksgiving, Memphremagog Watershed Association (MWA) wishes to thank all the swimmers in the Kingdom Games both summer and winter. Their enthusiasm for our beautiful NEK lakes and ponds has contributed substantial proceeds to MWA’s works over the last 3 years. MWA thanks you for your great generosity to the support of clean water. We also encourage the community to cheer on these intrepid athletes during the Winter Swim February 23-25 in the ice in front of the EastSide and at the Kingdom Swim, July 28, starting at Prouty Beach. PHOTO: Mary Pat Goulding presenting Phil White, Director of Kingdom Games with a Certificate of Appreciation. The following letter to the editor was submitted by Mary Patricia Goulding, President of the Memphremagog Watershed Association. We will miss seeing the blue and white boat cruising Lake Memphremagog. 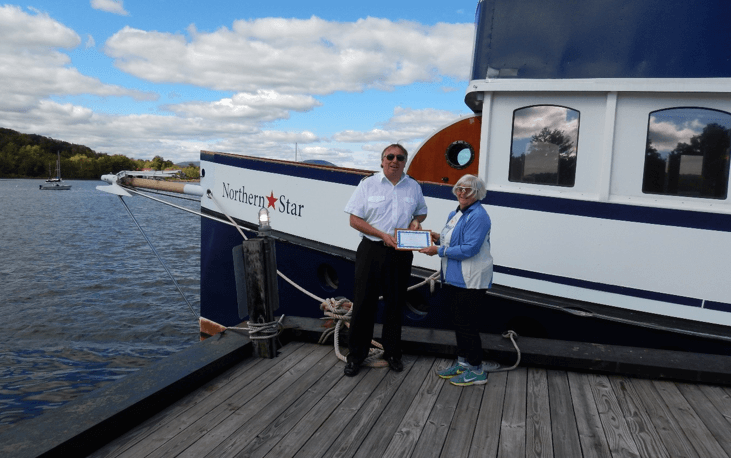 The Northern Star served the community under the leadership of Captain Chris Johansen. It is disappointing to learn that after the summer tours (2017), Captain Chris will end sailing the Northern Star on our beautiful waters. I am writing on behalf of the Memphremagog Watershed Association (MWA) to recognize Captain Chris’s vision and commitment to help folks learn about and appreciate the natural beauty of Lake Memphremagog. Sure, there were some fun cruises with ice cream and evenings spirited with libations. There also were opportunities to investigate and explore the Lake. MWA was privileged to participate in the Youth Lake Tours offered to students in the region. The first part of the discovery cruise was called, the “WOW” time. Because that was the expression of all the sailors, young and seasoned! Learning about the history of the region, evolution of the Lake, and impacts of the watershed come alive while touring the lake. 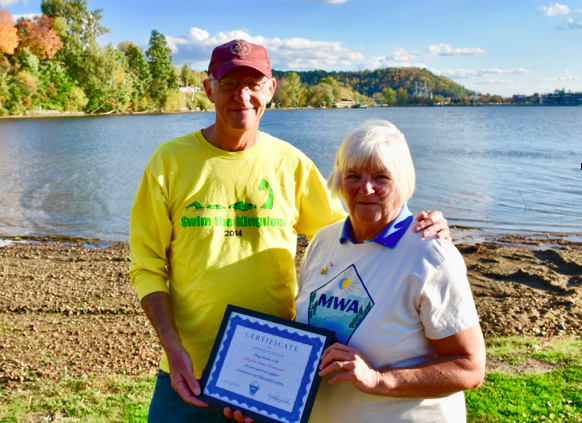 MWA is presenting Captain Chris with a certificate of appreciation for inspiring students and the community to enjoy and appreciate the natural beauty of Lake Memphremagog. A special thank you to Captain Chris and the sponsors that made it possible to offer the community, tourists, and students “a boat ride” to experience and appreciate the beautiful waters. So here it goes, and you may be wondering what that is all about. The NEK, the beauty, the people and the places. Back in the 70’s and 80’s things were good for the most part for the area, but times were changing and nobody had an idea of how big those changes would be. Remember what we had in the area for employment, from Ethan Allen, Indian Head Plywood, Bogner, Slalom Ski Wear, The Mill in North Troy, Prouty and Miller, Newport Furniture, Butterfields, Kraft in Troy. Yes, we do have some of these businesses left, but names have changed. Remember also the places that we could go, to Winee’s World, Drive In Movie Theater, Arcade in Newport, or walking downtown Newport, or Barton and all the business’s knowing just about everyone walking through the doors. Those were the times! Remember all the places that someone could go have some great food, Nips, A&W, B&W, Village Pizza, Eastside, Long Branch, Franks, The Landing, Santoros, The Old Bobbin Mill, Heermansmith Farm Inn. Wow, I could go on and on about the different places of employment and restaurants. I think back on so many of those fond memories and times past and realize that if we keep thinking of the past, we can’t move on to the future. Yes, times are changing and we have to adapt to those changes. Yes, we have a hole in the ground; that is called opportunity. Opportunity to make something that was great in the past, better in the future. Businesses are closing in a large part due to society changing. What do I mean by that? Well, the computer age, where you can get something delivered to your door without leaving your home. The internet is playing a huge role in changing our downtown areas. We should bring restaurants, the arts and specialty stores to Main Street. We need to stop turning our backs to the lake and face it. We need to work on getting industry to this area, to get this area moving forward. With bringing industry it will open up for tourism, filling the hotels and B&B’s, to people buying certain things in the area, or just going out for something to eat. We have an amazing Career Center, we have an amazing community. We have so many groups here that are doing good things, but we have to make this about community. To attract people to the area to have something to do and not just pass through. We have an opportunity with the Bluff Side Farm or figuring out how to get a Museum open with Mr. Webster’s Antiques. When the small dairy farms started going out of business, we had no idea of the consequences of what it would do to the NEK. I go through small and large towns and see general stores that were once bustling with farmers coming in for coffee, to talk, or something to eat. I see towns that had farm equipment dealers and car dealers, now lay dormant. I know this sounds sad and is very sad to see, but I see some of the younger generation starting to open up small farms again. I also see opportunity in these businesses that once were, as not just an empty business, but what it could be. The NEK has always been changing, it has evolved from logging communities to bustling towns and cities during the early and mid-20th century, to now a grand opportunity to make this special area, even better. This whole area of the NEK has a grand opportunity to be better, but this is going to take all the communities to come together for a common goal and that is to make this area better for the future generations. This is not going to be done with meetings after meetings, this is going to take putting plans in actions and making those actions happen. Unintentional injuries are the number one killer of kids in the United States according to Safe Kids Worldwide, an international non-profit dedicated to protecting kids and promoting injury prevention. Every year approximately 8,000 families lose a child from a preventable injury, and millions more are injured, making this a global epidemic. Drivers and pedestrians are prone to distraction so both must commit to keeping phones down while walking or driving. In 2014, 3,179 people were killed, and 431,000 were injured in motor vehicle crashes involving distracted drivers (distraction.gov). Road conditions can be extremely challenging during the winter, even for experienced drivers, so parents of teens should remind them to be extra alert. Special attention should be paid to shopping center parking lots where drivers and pedestrians may be distracted by children in the car, electronic devices or the general holiday rush. Buckle up on every ride and every time no matter how far, or near you are traveling. If you are traveling with large groups each rider must have their own seat belt, car seat or booster seat. All child restraints should be age appropriate and properly installed to insure maximum protection. Remember that even when kids have graduated from a booster seat, they should remain passengers in the back seat until they are 13. When traveling with kids even the best made plans can be interrupted by the all too familiar howls that mean a passenger is hungry, needs a bathroom break or a diaper change. When this happens don’t worry about making good travel time. Instead, get off at the next convenient exit and find a safe place to change, feed or relieve the kids. Do not pull over to the side of a busy road or interstate. A fast and abrupt stop sometimes takes everyone by surprise. Keep hot foods, large gifts and anything that can become a dangerous projectile in the trunk of the car. If the destination is a social gathering, be sure to designate a driver before arriving or have the phone number of a taxi or phone service programmed into your phone before starting to party. Decorate the tree with kids (and pets) in mind. Move ornaments that are breakable or have metal hooks toward the top of the tree leaving the lower branches available for softer, safer ornaments. Anchor the tree in some way so it cannot fall over, especially on young children. Take a look at all holiday lights, especially on the tree to ensure there are no frayed or exposed wires, loose connections or broken sockets or bulbs. Water your tree regularly. Brittle and dry branches and needles can be flammable. Keep holiday candles at least 12 inches away from anything that can burn and don’t forget to blow them out before going to bed or leaving the house. Place all lighters and matches out of child’s reach and preferably out of their line of sight. Avoid any novelty lighters that resemble toys. Some holiday plants can be poisonous so keep them out of reach of children and pets. A few poisonous holiday plants include mistletoe berries, the holly berry and Jerusalem cherry. If you believe anyone, especially a child, has ingested something harmful call the Poison Control Center, 24/7 at 1-800-222-1222. Do not induce vomiting or administer any liquids until advised by the professionals at Poison Control. When purchasing a toy for your child always choose an age appropriate one and this will be clearly indicated on the packaging. Read the warning labels and instructions before purchasing to ensure it will be a right fit for the right child. Check to make sure there are no small parts or other potential choking hazards especially if younger siblings live in the home. Button batteries used in electronic toys, musical books and cards or other trinkets can cause serious damage to a child’s esophagus if swallowed. These batteries are small, shiny and attractive, especially to young children. Kids love to reach! Prevent burns and scalds by using back burners and turning pot/pan handles away from the edge of the stove. To prevent oven tip overs, do not place any food on an open oven door. Place all oven-baked items on a counter top out of the reach of young children and consider installing anti-tip anchor brackets on all appliances. Follow the manufacturer’s instructions to install and use anti-tip straps properly. TV/furniture/appliance tip overs, on average are responsible for killing one child in the US every two weeks. Holidays are a great time to teach older kids how to cook safely. Teach them never to leave the kitchen while they’re using the stove or oven. Show them when to use protective oven mitts or potholders to remove hot food from the oven or stove top and teach them how to use a microwave. 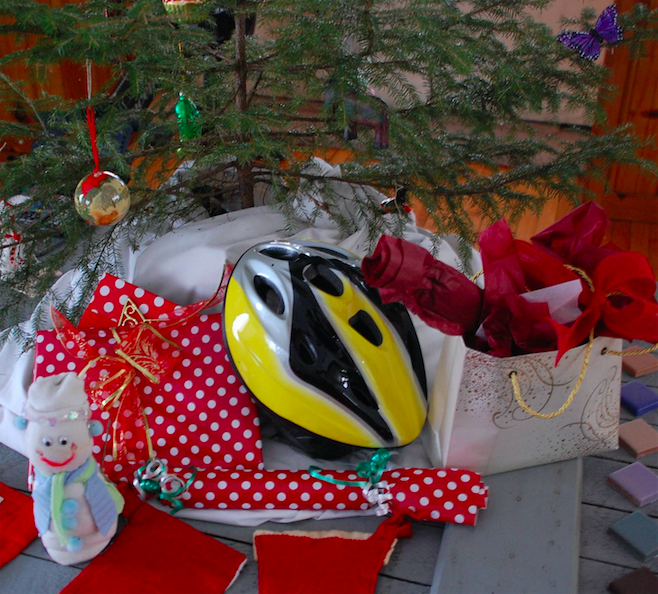 Holidays are a time when we help our kids have fun, make memories and establish traditions. Wishing all readers a happy, memorable and safe holiday season that does not include a trip to the Emergency Department! I hope to have the honor of your vote on Tuesday. If I am successful, my election will be a loud and clear message—delivered from the Green Mountains—that the days of big money propping up career politicians are numbered. I am running on a clean government reform platform that will restore trust in government. If we are to return to a government of the people, by the people, and for the people, we need to end the days of big money buying a seat at the legislation-drafting table. I have designed a campaign to amplify this message. We are all volunteers. I have not solicited a single donation. We formally launched our campaign just 60 days before the election (shorter elections require less funding). I have proposed a two-term limit for Senators, and a four-term limit for Congressman. I do not and will not accept any special interest donations. I believe that the United States Senate was designed to be a body of common citizens—public servants who would raise their hand to serve in Washington, beholden only to the people of this nation, and then return home to live under the laws that they made. That is what I have promised to do. Please, take a look at my campaign. If you want to look at your children and your grandchildren, and tell them that at this divisive time in history, you stood up and did something to bring the change our nation so dearly needs, please, help me, help Pat Leahy… Retire. Together, we can prove that votes, not money, are what still count in Vermont. 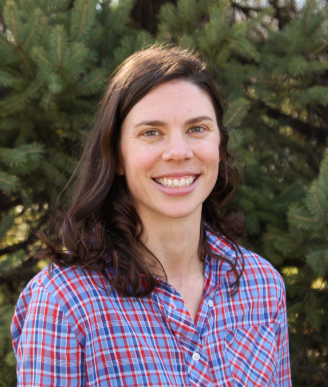 Katherine is the founder and executive director of Green Mountain Farm-to-School, a nonprofit based in Newport, Vt., and she is running to represent the towns of Eden, Jay, Lowell, Troy, and Westfield in the Vermont House of Representatives. My name is Katherine Sims and I am running to represent the towns of Eden, Jay, Lowell, Troy, and Westfield in the Vermont House of Representatives. I am running for state representative because we deserve better. It’s time we have someone representing us who isn’t content sitting on the sidelines. We need a new voice that understands the issues affecting our community and is willing to do something about it. If elected, I promise to take my fight for the Northeast Kingdom straight to the capitol. From the golden dome in Montpelier, it’s easy to ignore the reality of what is happening up north. We value our local schools and they force us to consolodate. Households are struggling to make ends meet, with one in four children not knowing where their next meal is going to come and many families now knowing how they will pay bills if they were to get sick. Fewer jobs are available and existing businesses find themselves struggling as economic development continues to leave rural areas like ours behind. They don’t see how a lack of high speed internet and cell service hurts our small businesses or how industrial winds divides our communities. As the founder and executive director of Green Mountain Farm-to-School, I have worked with a team to build a business that employs a dozen people, has generated over a million dollars of sales for our local farmers, educated thousands of children, and increased access to healthy foods for our community. Our work started with one school garden at Jay/Westfield Elementary and the belief that all Vermonters, no matter their income level, deserve access to healthy and nutritious food. It hasn’t been easy, but we now work with schools and farms throughout the NEK. I am proud of the growth Green Mountain Farm-to-School has seen but I also know how hard it can be to make it. We know that the success of our region is only possible if we work hard and make sure all of our community members have their basic needs met. I have demonstrated my ability to implement creative solutions to address some of our district’s biggest challenges. I will work tirelessly to strengthen our local economy, support working Vermonters, and make sure government works for all communities – including rural ones like ours. We need a strong representative to address issues like lack of high speed internet and cell phone service, high property taxes, Act 46, and energy siting projects to name a few. Vote for me on November 8 and together we can be a powerful voice for our community. I would like to inform residents about some of the legislation that has been considered and some that has passed in Montpelier. I consider myself fortunate to have represented the people of Eden, Lowell, Troy, Jay and Westfield, with a respectful and conservative voice in Montpelier. My votes on issues don’t come easy for me, but after listening to constituents and researching information from many different sources I do my best to advocate for or oppose legislation. With the very real possibility of Phil Scott as our next Governor, we have the opportunity to stop the over regulation and taxation of Vermonters. I agree with Phil that we can’t continue to grow the general fund at around 4.8%, when revenue comes in at around 2.2%. This requires tax packages, fee increases, possible rescissions and budget adjustments. With new or expanded laws come new regulations, expanded oversight by agencies and taxes or fees to pay for them. While many new laws being drafted and considered have merit, Vermonters are looking for predictability and stability in regulations and fees so they can plan for the future. Example are: expanded regulations and certification fees for small farms, harvest notification regulations for landowners looking to cut timber, and mandates on our small businesses like paid sick leave, to name just a few. Many of of my constituents have said, Mark, for every law you pass you should find 2 to rescind. I proposed with co-sponsors, like 13 other states, a limit on the number of bills a legislator can sponsor during the session. The Rules Committee voted down this proposal. The Attorney General’s Office requested consideration to license Home Builders and Home Improvement contractors through the Office of Professional Regulations (OPR) sunrise review process. Through my work and that of other committee members in the House and Senate, we were able to turn down that request at this time. We talk about supporting our small businesses, but so much of what we do stifles innovation and growth of our businesses. Because the Majority sets the agenda in Montpelier, and I don’t believe we will reach a majority, I would like to comment on a couple of proposals that are being considered. Both the carbon tax and background checks for all gun sales have had legislation drafted in the past. The carbon tax would be another state run program increasing the price of fossil fuels, (gas, fuel oil, propane, etc.) while at the same time giving surrounding states a economic advantage. I also believe background checks on all gun sales would only affect law abiding Vermonters with increased costs and would be hard to enforce. Having talked with constituents over the years regarding these proposals, I will do my best to explain to my colleagues in Montpelier why these initiatives are not right for Vermont. Thanks for your support in the past, and I hope to return to Montpelier and continue to be a part of solutions to issues facing us here in Vermont. Summer is here and with hot weather comes the possibility of heatstroke. Young children are especially at risk from the dangers of heatstroke because their small bodies heat up three to five times faster than an adult’s body. Babies and young kids can sometimes sleep so peacefully and quietly in their car seat or strapped into the backseat of a car that we can forget that they’re even there. Forgetting, or letting a child sleep in the car can have catastrophic consequences. Did you know that heatstroke is the leading cause of non-crash, vehicle-related deaths for children? Every ten days, on average, a child dies from heatstroke when left in a car. When outside temperatures are in the low 80s, the inside temperature of a car can reach deadly levels in only 10 minutes, even with a window rolled down 2 inches. Never leave a child unattended in a vehicle, even if the windows are partially open or the engine is running and the air conditioning is on. Make a habit of looking in the vehicle, front and back, before locking the doors and walking away. Ask the childcare provider to call if the child does not show up for care as expected. Do things that serve as a reminder that there’s a child in your vehicle like placing a purse, briefcase or cell phone in the back seat so the child will be seen when you reach for the item(s). Teach children not to play in or near cars and keep keys away from them at all times. Car trunks are off limits under any and all circumstances. If you see a child alone in a car call 911 and wait until help arrives. 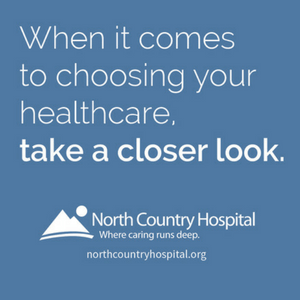 Beth Barnes, Community Outreach Specialist, North Country Hospital. The following letter to the editor was submitted by Barbara Morrow, Director of the Orleans County Restorative Justice Center. Good news. According to the recently released Vermont Youth Risk Behavior Survey, a key indicator is showing a decline. Not huge – but in the right direction. And we need to keep up the momentum. Here it is: The percentage of students who were offered, sold, or given an illegal drug on school property in the past 12 months has declined from 28% to 22%, at North Country. It’s hard to know what is impacting this number, but we like to think the community’s response to the Prescription Take Back project is a contributor. (Did you know 70% of the drugs involved in such exchanges come from home medicine cabinets?) The presence of a school resource officer and the community’s and the school’s increased awareness are also hard at work. The upshot is, let’s keep it up. Clearly, 22% is still too high, and in fact is higher than the rest of the state (18%). Yet when we combine our efforts, we can have an impact on the availability of illegal drugs at the local high schools. The Prescription Take Back effort has been very successful, and local law enforcement continues to participate in this project which even they admit has “exceeded expectations.” Unused drugs can be deposited confidentially in the secure collection box in the lobby of the Newport Police Department’s office any time, or at the Orleans County Sheriff’s offices during business hours. There is also a used needle deposit box in each 2nd floor bathroom of the State Office Building. When you take deposit your unused drugs, you them out of the supply line to kids and others. It only takes a second for a quick hand to get ahold of a few pills. Too many of us – 60% – keep unused prescriptions around which makes us and our young people vulnerable. It offers an illuminating insight into the lives of our young people. We think it should be required reading for parents! Last January, in my capacity as Irasburg Selectboard chair, I had the opportunity to testify before the Vermont Senate Committee on Natural Resources and Energy and the House committee of the same name. I used the opportunity to speak on behalf of the citizens of Irasburg on the subject of energy siting. Last week, the Irasburg Selectboard learned that developer David Blittersdorf is preparing to go ahead with an application to build industrial wind towers on Irasburg’s Kidder Hill. With that in mind, I would like to share my January testimony in Montpelier with your readers. Renewable energy projects are at a frantic pace. The expected deployment of some of these initiatives has citizens of this state and, in particular, the Town of Irasburg alarmed. The Town of Irasburg, in the Northeast Kingdom, is threatened with the proposed construction of two five-hundred-foot wind turbines on the most prominent ridgeline overlooking our town. It has become increasingly evident that the Northeast Kingdom has tremendous appeal to renewable energy development. Its majestic mountains and open spaces have always been appealing to travelers and tourists far and wide for decades. However, our concern lies in the vulnerability of some of Vermont’s poorest communities’ and their ability to resist the power these project promoters may bring and the potential depreciation they may leave behind. The Northeast Kingdom is a net exporter of renewable energy. Our power grids are full and cannot accept any more electricity. Yet towns like Irasburg are still being targeted by industrial wind developers because we are rural and lack the economic resources to defend ourselves. On October 1, 2015, the citizens of Irasburg voted 274 to 9—ninety-seven percent– not to allow the use of ridge lines in our town for development by industrial wind turbine projects. Since the construction of the Sheffield and Lowell Mountain projects (over thirty turbines visible for miles), more than 75 towns in Vermont have voiced their opposition to the siting process for renewable energy projects, either by vote, by town plan, or by resolution. 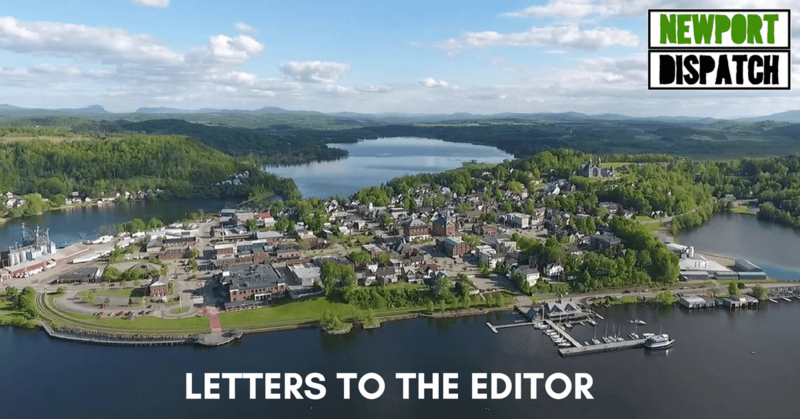 We are pleading for the legislators in Montpelier to pay attention to what the citizens of these towns are saying and make legislative changes to give towns more say in decisions that vitally affect their citizens and their future. There needs to be a balance between the public good that is renewable energy production and the public good that is represented by land use and other priorities at the local level. The huge scale and dominant location of two 500-foot industrial wind turbines on Irasburg’s Kidder Hill Ridge would cause substantial harm to the character and well-being of our town. They would degrade our landscape, reduce our property values, destroy forest land. Time will tell of the threat to our citizens’ health, and damage to wildlife habitat—all without providing any benefit to our town in lowered electricity costs or improvement to the environment. We are today reminding our legislators of the common sense Vermont way! Allow the communities of this grand state to best determine smartly-sited renewables. There is no meaningful way for citizens and municipalities, including the citizens and elected officials of Irasburg, to have a voice in the Public Service Board process for siting and approving energy projects. Wind developers have deep pockets and experienced teams of attorneys to advocate for them. To have any kind of voice in the process, small rural towns are forced to try to come up with many tens of thousands of dollars that they don’t have, in order to pay legal fees for specialized attorneys to represent their interests before the PSB. The legislature should take action so that towns are not forced into this unfair position or practice. Future renewable energy projects in Vermont should go forward only with community participation from the outset, and only on a scale and in a manner that preserves Vermont’s working landscape and directly benefits local communities. In the end all of Vermont will benefit.